“Little Red House,” the Quigley home in Nelson village, painted by Albert Duvall Quigley. (Private collection; used with permission.) 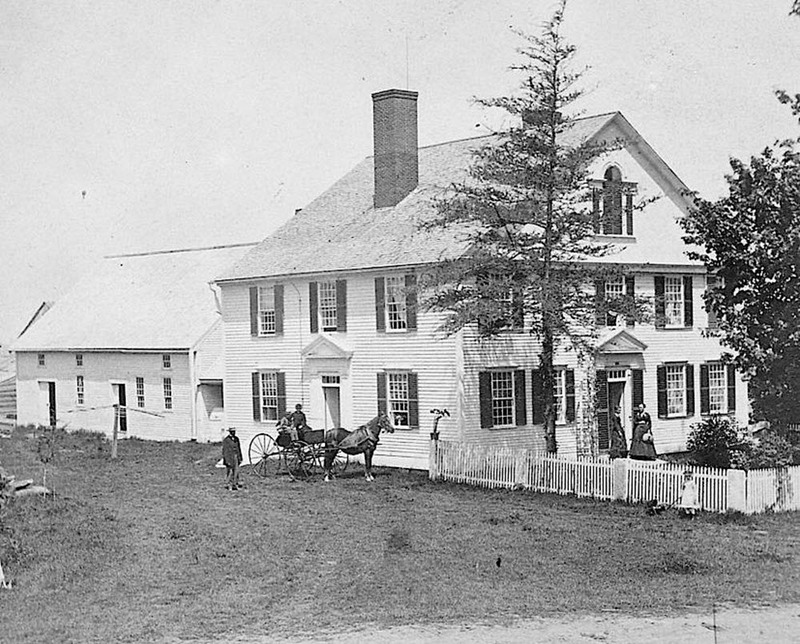 The Quigley house, on the northeast corner of the Nelson common, may have been built as early as 1797, and later incorporated some elements of the original 1773 meetinghouse, which was moved and rebuilt in 1840. The Olivia Rodham Memorial Library was built on the site in 1996, several years after the house was demolished. 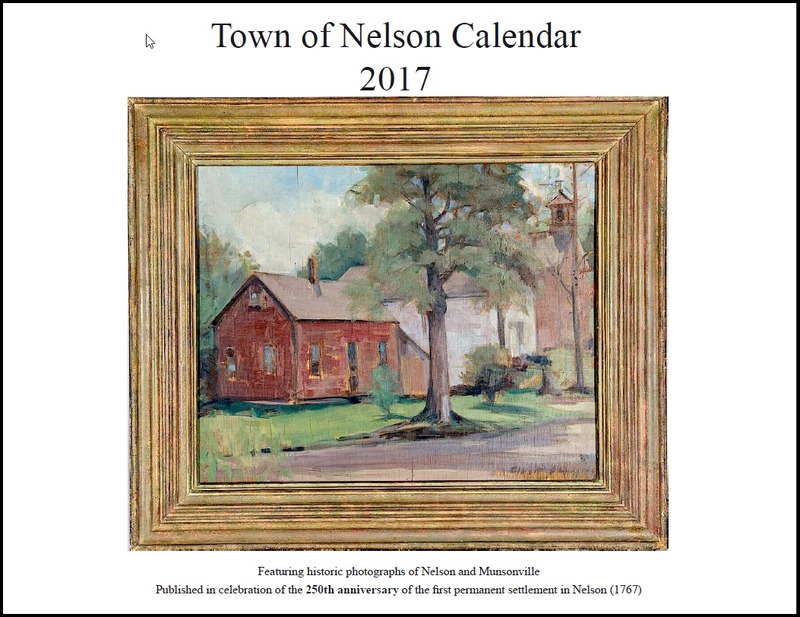 Inside cover: Two major buildings were constructed in the growing village of Nelson in 1840 by Reuel Nims: the large brick store that once stood on the common, and his house across the street. Nims ran the store and served as justice of the peace and postmaster for many years. Homer Farnam Priest later lived in the Nims house, where he and his wife, Ethel, raised 12 children. Ethel also found time to be the town postmistress and bake cookies for customers who came to buy blocks of ice from the large icehouse that once stood behind the main house. The house is now owned by the third family to make a home there, the Gerbis family. For many years it was the home of Joan and Harold “Dutch” Gerbis. January: In 1895, Dr. Thomas Montgomery Lightfoot, a Philadelphia teacher and naturalist, and his wife, Mary Ella Althouse, purchased School House Farm (named for the old one-room brick schoolhouse on the property), which adjoined that of their friend, Olivia Rodham. The Lightfoots were one of six families that bought land because of Miss Rodham, making up what was called the “Pennsylvania Settlement” in Nelson. When Dr. Lightfoot died, he left School House Farm to Mary, his only child. Mary later married Robbins Milbank, who came to Nelson as a child to spend summers with and be tutored by Miss Rodham. 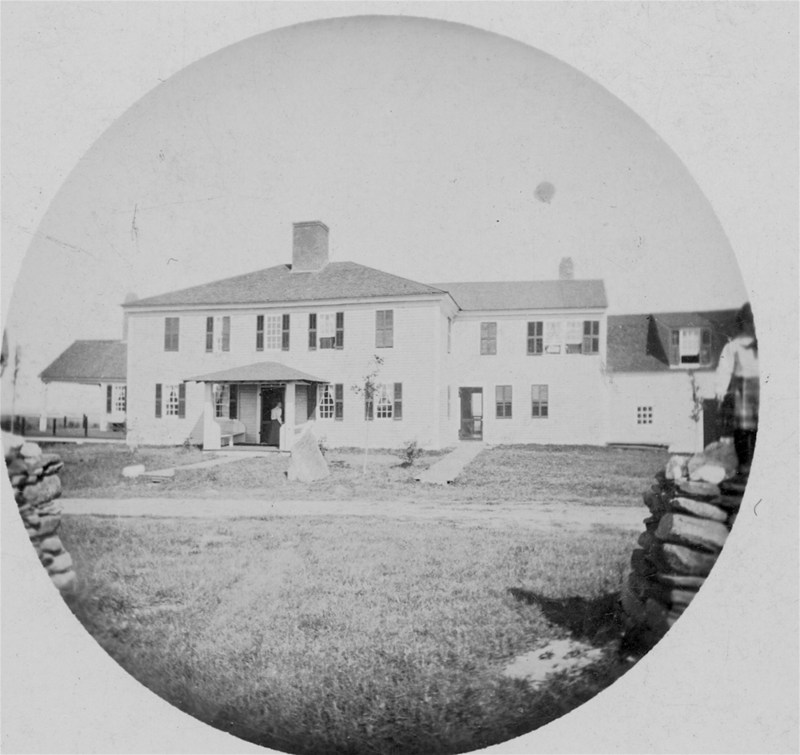 The Milbanks’ children and grandchildren spent many summers at School House Farm, and up the hill at 5 B Farm (formerly Miss Rodham’s, then as now owned by the Whites), playing volleyball and croquet on the lawns, watching moose at the salt-lick, and seeing the sunsets on Mount Monadnock. After he became a widower, Mr. Milbank married the journalist Helen Kirkpatrick. The property is now owned by Priscilla Williams. 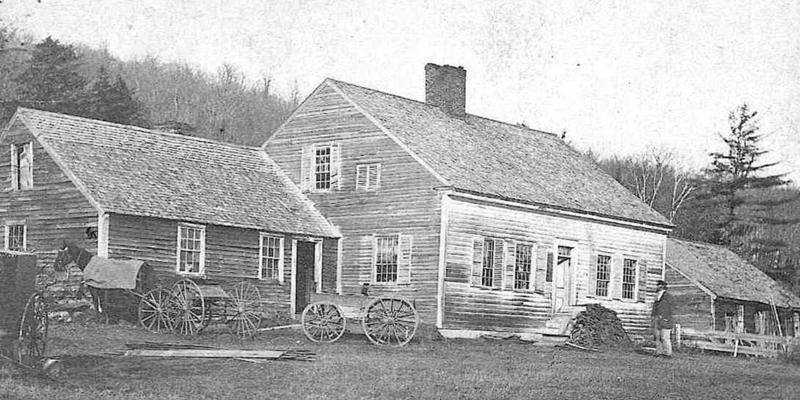 The original farmhouse was built in 1780 by Philip Atwood. 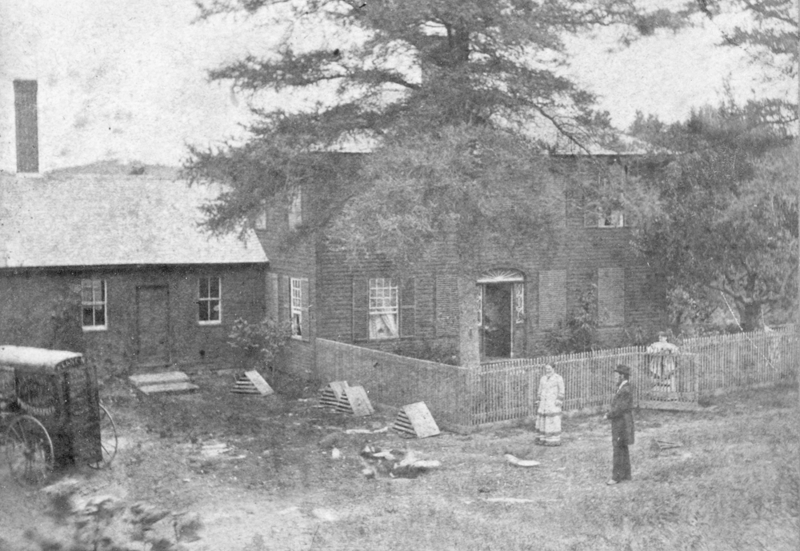 February: This photograph of the house at the fork of the road in Munsonville was taken soon after February 14, 1891, the date that Henry Tarbox sold it to Sumner Fisher. Don and Barbara Bennett, who lived in the house for many years, believe it was builaround 1830 and was at one point owned by Louis Colony. Sumner Fisher had three sons, Clarence, Fred, and Charles; after Sumner’s death in 1929, Fred and Charles sold their portions of the property to Clarence. 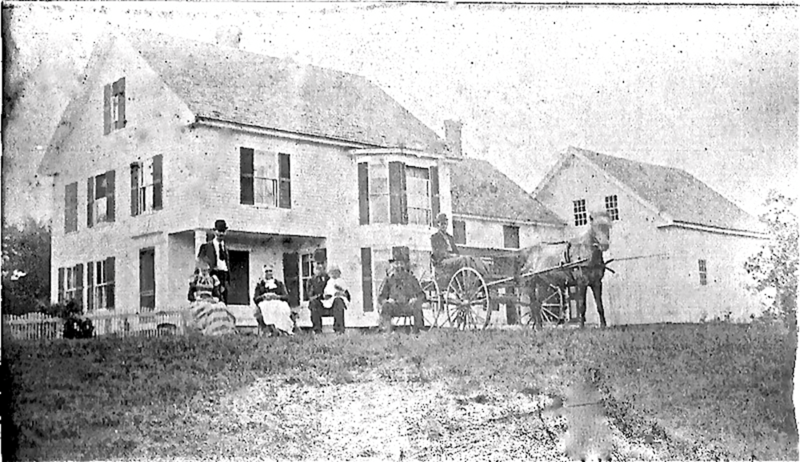 The Clarence Fisher family retained the property until 1949 (brother Fred and his wife, Ernestine, lived up the hill in the old Methodist parsonage, now owned by Mare-Anne Jarvela, and visible in the upper right of the photograph). The Fisher house changed hands several times before the Bennetts bought it in 1959. Their daughter and son-in-law, Kim and Daniel Shawver, now live in the original house, and Don and Barbara live in the remodeled barn, a “lovely retirement home,” they say. The current occupants of the house, Kip and Sandy Mackenzie, bought the house in 1996 and have done extensive renovations, including rebuilding the barn at its original location. 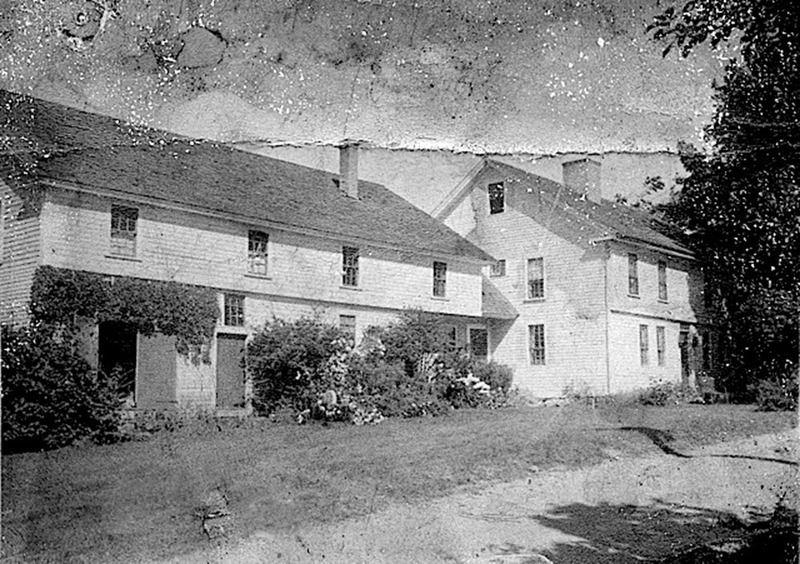 April: Thought to be the oldest standing house in town, Maury and Martha Collins’s beautiful old Cape on Old Stoddard Road was built in the early 1770s by John Proute, an early settler who built the house but never took title. Benjamin Day and his son, Peletiah, bought 208 acres “with the dwelling thereon” at this location from Breed Batchellor in May of 1774. The house may have been constructed from lumber milled at the town’s only sawmill at the time, one owned by Batchellor at the outlet of Center Pond. Reverend Ellsworth W. Phillips, son of Washington and Louisa Day Phillips, bought it sometime prior to 1888. Two daughters of Rev. Phillips, Margaret and Ruth Phillips, spent summers in the house before selling the property to Maury Collins in 1970. It had been in the Day/Phillips family for six generations by then. Maury lifted the house to replace the foundation and set it back down, converting the attached shed into an entryway and kitchen. 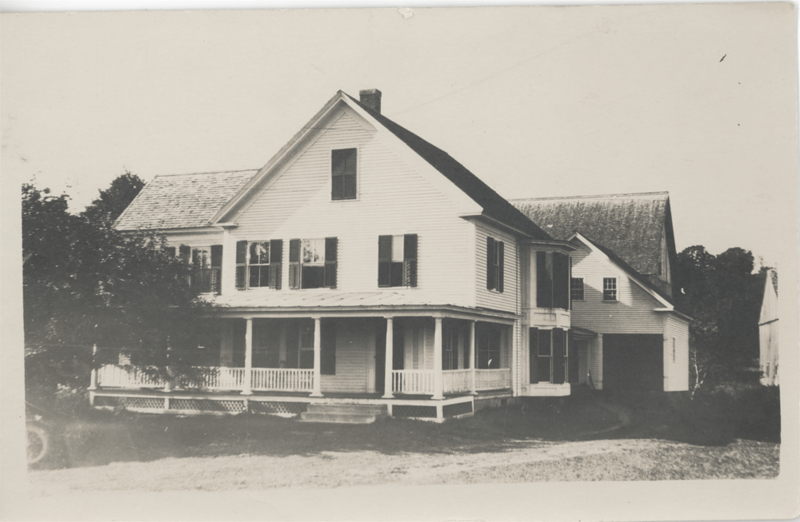 May: The Guillow family settled in Nelson in 1902 on a farm near the junction of the Nelson Road and old Route 9, previously owned by Orrel Phillip Atwood. Atwood was a carpenter who made pail handles. Willie L. Guillow, who was born in Westmoreland in 1878, served several years as Nelson road agent and overseer of the poor. He married Zaidee V. Bridge of Sullivan and they had six children. The Guillows are buried in the Munsonville Cemetery. Their house is now the home of Bill Purdy and Cathy Panek. 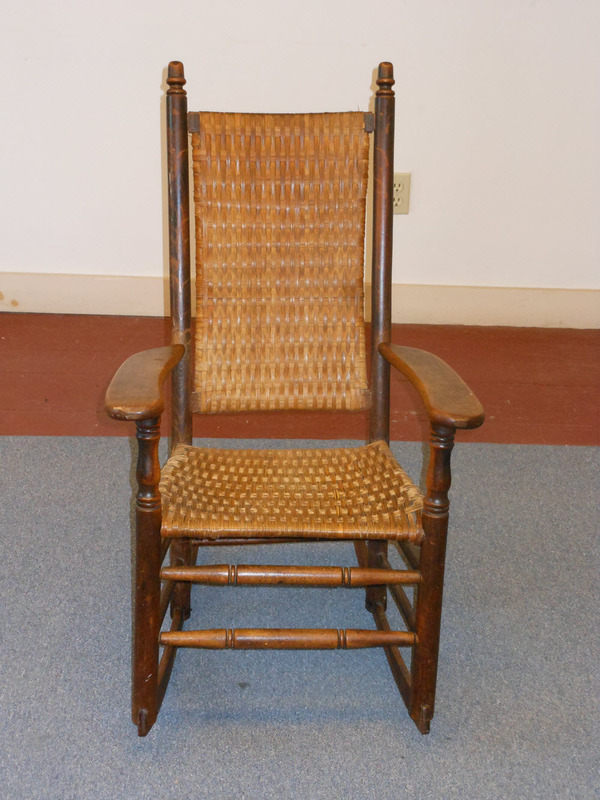 The child’s rocker with basket seat (inset) was made by the Demeritt-Fisher company, which bought the chair factory in Munsonville in 1919. The chair was donated to the Nelson Archives in 2015 by Carol Thompkins, the granddaughter of Ethelyn Thompkins. Ethelyn, born in 1903, was the eldest child of Zaidee and Willie Guillow, and a lifelong Nelson resident. She married Harold Thompkins. June: The first members of the Melville family came to Nelson (then Packersfield) in 1790 as newlyweds. When Josiah Melville married Sarah Minot, her father Jonas, a wealthy landowner, gave them a tract of land just north of the cemetery where they built a handsome house that was home to the Melville family until it burned to the ground in 1925. Henry Melville (1858-1930), the owner at that time, was so distraught at the loss that he began making plans to reconstruct a house that looked much like the old homestead he loved. The family continued to own this property for more than 200 years before it was bought by the present residents, Sally and Bill Coughlin. Henry Melville, a graduate of Dartmouth College and Harvard Law School, practiced law in New York City for many years, but returned to his home in Nelson every summer. With a strong interest in local history, Henry was a generous town benefactor, funding many projects, including the monuments and tablets that commemorate our town’s history and the loyal men who fought for our country. July: Built in 1791, this farmhouse on the north side of Tolman Pond was bought and occupied by George Tolman (1786-1885), who eventually willed it to his nephew Orson in return for taking care of him for the rest of his life. It has remained in the Tolman family ever since and is now occupied by Tom Tolman and Larisa Belluscio. August: The property on Lead Mine Road now owned by Wally Francis and his family dates back to 1798, when Joseph Beal bought the land and erected a house for his large family. The property remained in the Beal family for 23 years, but then passed to no fewer than 12 owners during the remainder of the 19th century. 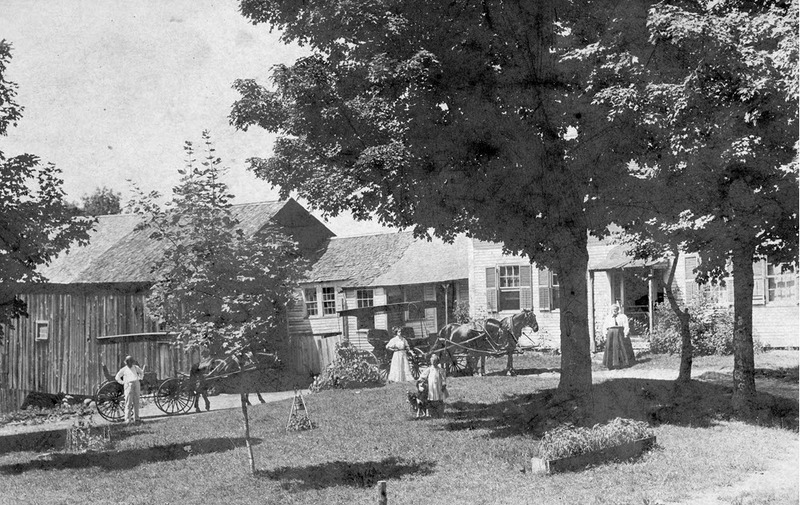 From 1852 to 1858 the Town of Nelson used this property as a Town Farm supervised by an appointed Overseer of the Poor. In 1853, plumbago (an archaic name for graphite) was discovered on the property, and this deposit was mined for 22 years to produce graphite for lead pencils and lubricants. 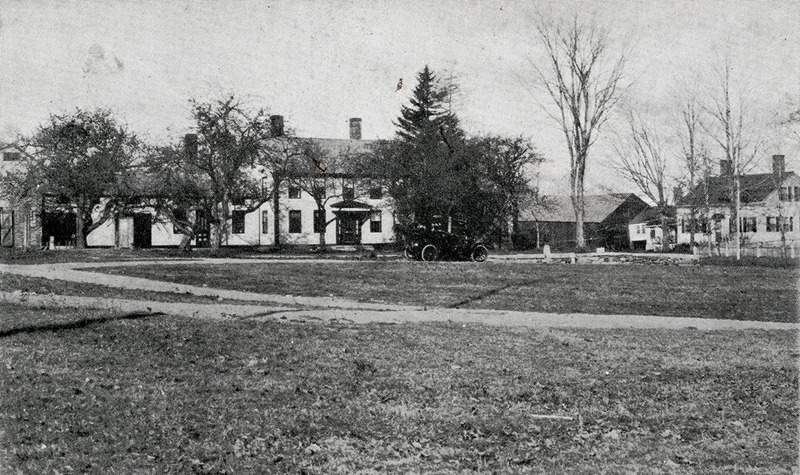 In 1890 William H. Elliot of Keene purchased the then-unoccupied property as a summer residence. He enlarged the house and bought several adjoining lots, bringing the total acreage of the property to its present 262 acres. Since 1890 members of the extended Elliot family have continued to use Lead Mine Farm as their summer residence. 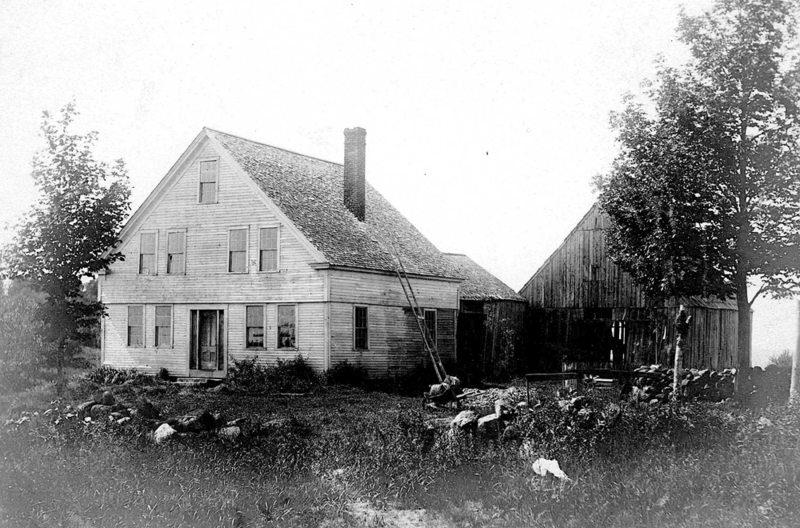 This photo from the 1890s shows how little the farmhouse has changed during the last 120 years. Although the road has been moved outside the stone wall, the triangular rock formerly used as a hitching post remains in place. 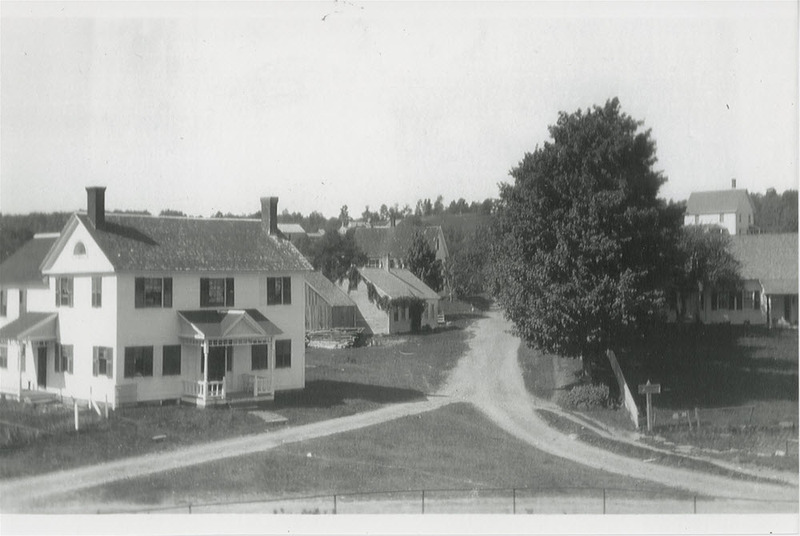 September: The Bunce farm today stretches from the Nelson School over to the cemetery in Munsonville, about 92 acres. 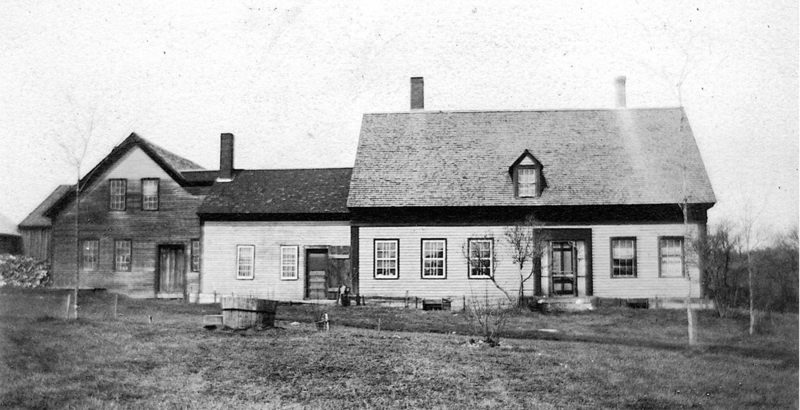 Joseph Baker Jr. built the original 20' x 22' house on the site (the middle, one-chimney structure in the photo, now the kitchen) in about 1816, and by the time Ezar Wilder bought it in 1888 the present-day main house with two fireplaces had been added. George S. Page bought the house in 1900 and raised his family there. His son, Ralph, became famous as a contra dance caller and writer, but there is little evidence that the Page family had much interest in farming. When John and Ann Bunce bought the farm in Munsonville in 1974, it had been vacant for many years. The only toilet was a three-holer out back, and a 22' well piped water into a soapstone sink in the kitchen, the only water in the house. The spindly little trees on the front lawn were about 85 years old by the time John Bunce took them down. October: Ebenezer Tolman (1748-1838) came to Nelson in 1780 and built a house on the road to Long Pond (Nubanusit Lake). In 1877, his grandson, Eben C. Tolman (1831-1902) built a new house on the family farm, which then encompassed 700 acres. Eben’s son, Wilmer Cyrus Tolman (grandfather of Harvey and Ethan Tolman), added an ell in about 1900, a large porch in 1911 or 1912, and built a new barn in about 1920, as shown in the smaller photograph. The property is now owned by Harvey and Frankie Tolman. November: The handsome house in this stereo photograph (c. 1865-75) is Center Lake Cottage. The woman in the foreground is almost certainly Sarah French, later Sherwin, who lived there at the time. 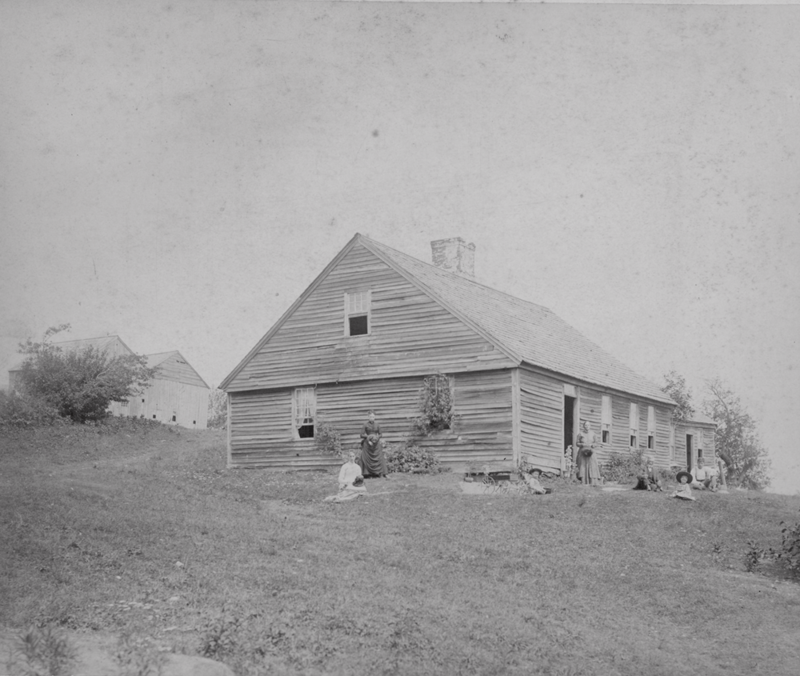 The house, on Lead Mine Road just east of Center Pond, was built in 1815 by Dr. Simon Goodell, who married Lydia Melville and moved to Nelson in 1812. Dr. Goodell had the ample means to finish it inside “with a great deal of fine work and expense,” to wit: paneled Indian shutters, ball and sausage molding, and carved mantel pieces. He carried on a thriving medical practice there until 1821. The house changed hands several times. Sometime prior to 1906, Tucker Daland, a summer resident from the Boston area, bought the property. In 1939, D. Page Wheelwright bought it for $2,000, having been “at once attracted by its charm.” He named his farm Top Haven. 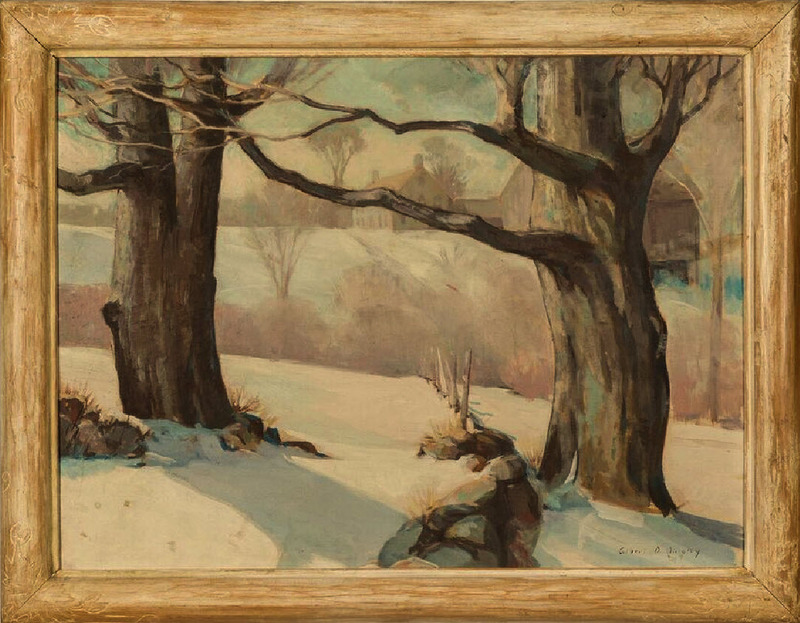 Today it is owned by Wheelwright’s grandson, Michael Iselin, and his wife Alouette. The larch tree in the photo grew to enormous size before Wheelwright took it down in the early 1940s. December: Flying Loon Farm on Long Pond Road, where Frank Upton Jr. lived, is best described by Frankie himself, in an interview in 1998: “The house was built 205-210 years ago. It was built by a fellow from Claremont, sold to Wright, then to my father’s grandparents, the Yardleys. They (my parents) were married in King’s Chapel, Boston. Then he brought her home to his old house. Pop had bought it from his grandfather, Frank Yardley, and he had been fixing it up some. But it hadn’t been lived in in years. It had windows out and stuffed with burlap bags. It had holes in the walls, no central heat, of course, no hot water, but only kerosene lamps and an outhouse. It had holes in the cellar, so that the cellar froze. The roof was still low, still a Cape Cod at that time. Excerpted from “Talking with Frankie Upton, July 11, 1998,” in Lake Nubanusit (Long Pond/Great Pond), Its History and Its People, by Francelia Clark/Dave Robinson with Alison Rossiter. This property is now owned by Dan and Beth Prawdzik.